The F136 offers, in addition to the standard batch control functions, an analog output signal in relation to the course of the batch process. This to transmit the course of the process. For example, a 4mA will be generated when START has been pressed and this value will increase smoothly to 18.7mA when the overrun correction closes the valve. The end value will be 20mA when the batch is finished. The operator can enter a batch quantity easily or execute repeating batches. During the batch, the preset value is displayed simultaneously with the batched or remaining quantity. The automatic self-learning overrun correction will ensure an accurate batch every time. On-screen engineering units are easily configured from a comprehensive selection. 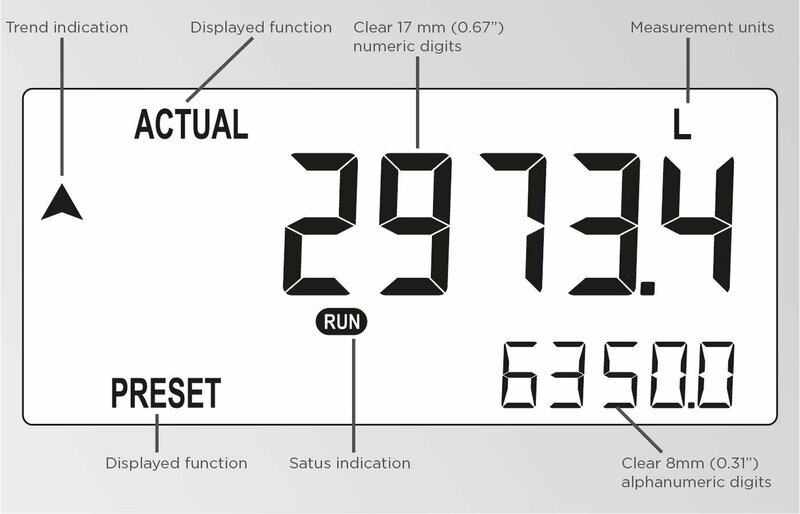 Large display shows preset value and running batch value simultaneously. The analog output value reflects the course of the batch process; fourteen different profiles can be selected. Two-stage control for batching larger quantities. Count-up and count-down function available. Scaled pulse output reflecting accumulated or batched total. Actual batched quantity: seven 17mm (0.67") digits. Preset value: seven 17mm (0.67") digits during programming and 8mm (0.31") digits during batchprocess. For batch applications where re-transmission of the course of the process is required. Remote control: pause / stop. Remark: With pulse output one-stage control only. Function: Re-transmitting the course of the batch process. 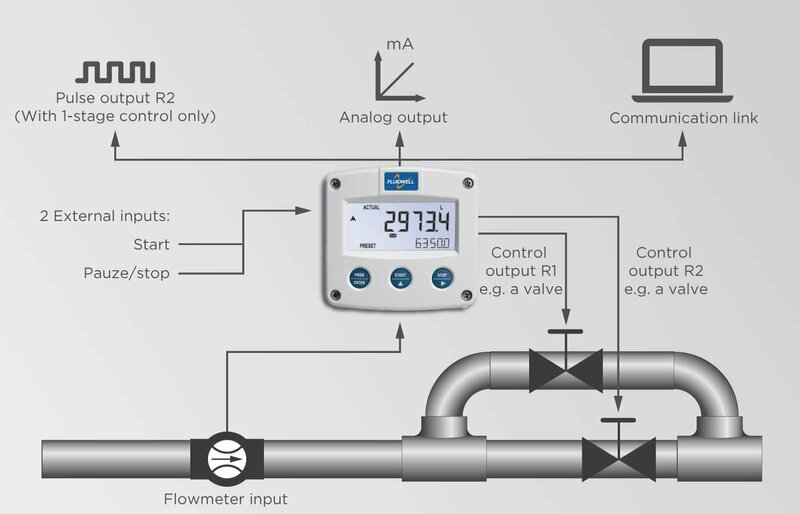 Function: Control outputs for one- or two-stage batching with active overrun correction. Remark: With two-stage control no pulse output available. Function: All process data and settings can be read / modified through the communication link as well as a batch can be started / stopped.